The AH/G-24 Banshee is an agile tactical strike aircraft, based on the unit seen in StarCraft II. 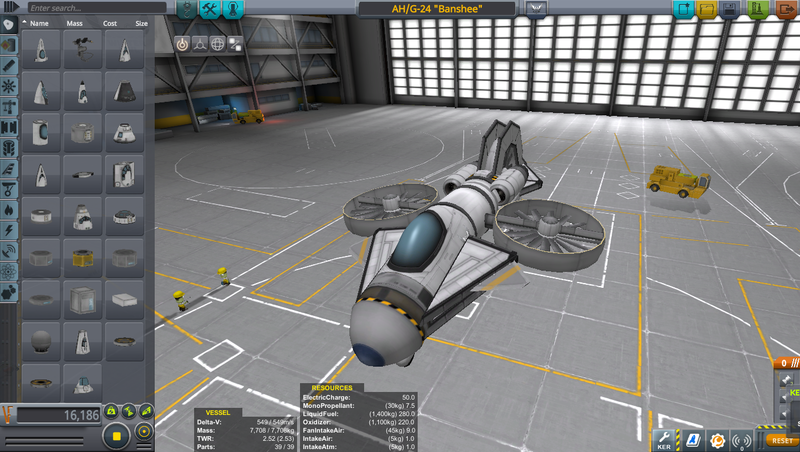 This turbofan-powered aircraft flies quite stable and is surprisingly easy to control-even I could do it! Due to framerate issues when running loads of mods, weapons are no longer included. 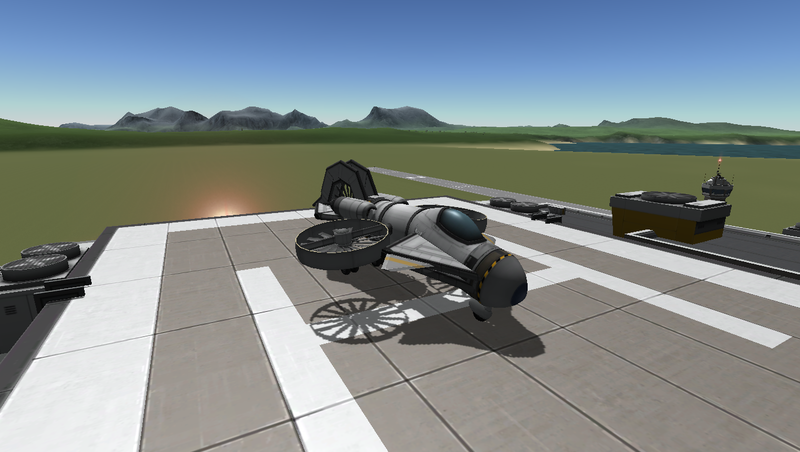 If you do run BDArmory however, Add missile pods between the wings, attached to the cockpit for the optimal experience. Turn on SAS and RCS. The Banshee will tip over when deployed on the runway. Roll it so it’s up on three wheels again. Increase the throttle to about 40% to lift off.